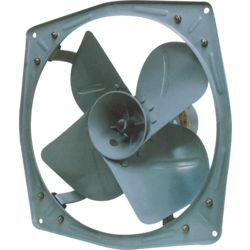 Orient heavy duty exhaust fans are designed to effectively combat pollution. High performance motor. Effectively drives away smoke, dust, odour and other pollutants to make the work-place fresh and healthy. Orient heavy duty exhaust fans are designed to effectively combat pollution. High performance motor. Effectively drives away smoke, dust, odour and other pollutants to make the work-place fresh and healthy.